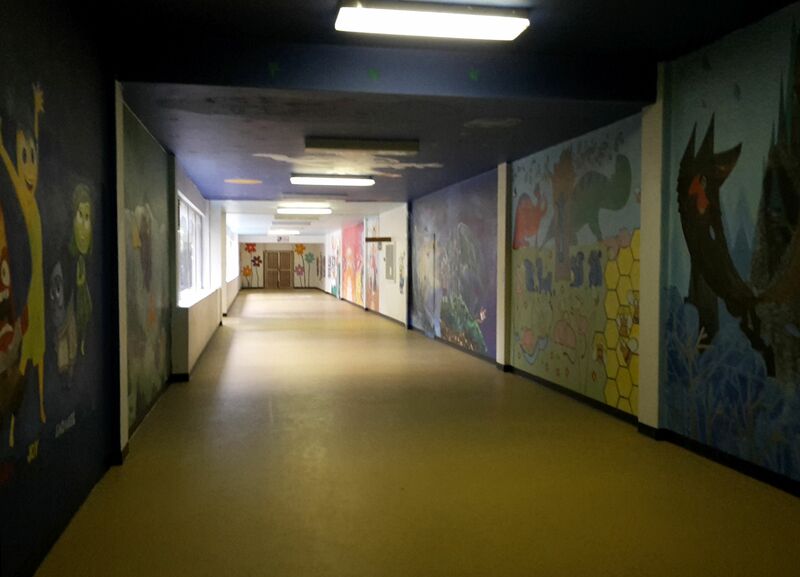 In 2015 we painted the Entrance Hall of the Tygerberg Hospital School, where ill and injured children get to resume their education while receiving treatment from the caring medical staff at the hospital. 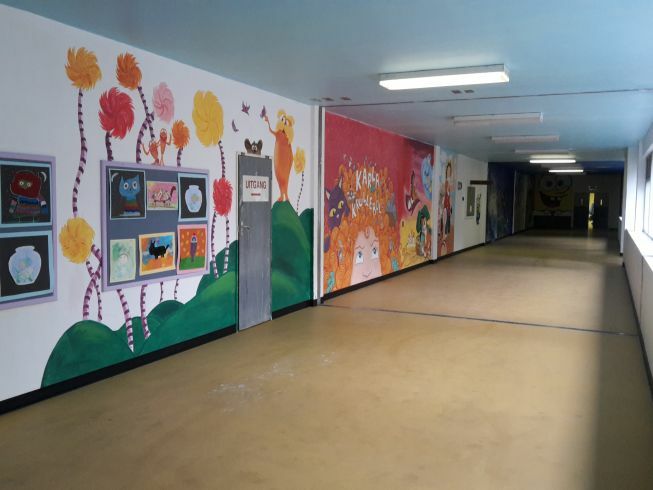 With the help of more than 100 volunteers, talented artists, the school faculty and our sponsors, we transformed the entrance hall from a dull, uninspiring room to a colourful stretch of beauty and fun for the children to walk through every day. 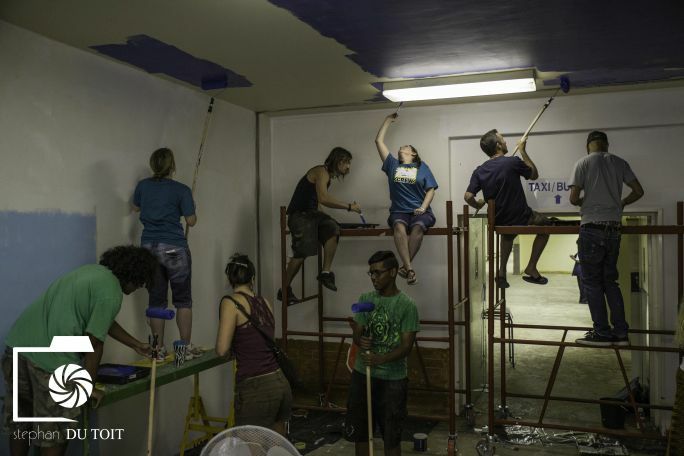 The energy and enthusiasm of our volunteers was contagious and everyone worked really hard to get the job done while shuffling to the music, socialising and having buckets of fun. 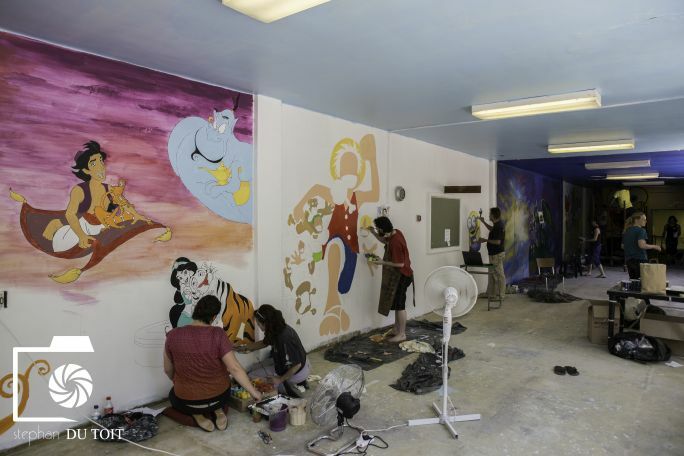 We had the challenge and opportunity this year to do all of our murals in the same space, side by side and our artists did an absolutely amazing job. The end result is simply stunning and smile enducing. The staff at the school thanked us, but they deserve so much more thanks. The work they do at the hospital is invaluable and they do it with such genuine love and care. Seeing the children's reactions to the murals was the cherry on top. Their faces lighting up has made it clear that this was worth every bit of the effort and more. Thank you to everybody invoolved. This was truly special...and so are you.